Before you start reading this article, take a moment to stop and think: is Product Management art or science? Write down your answer along with a brief justification. While there may be no right answer, exploring a variety of opinions is a great way to deepen our understanding of Product Managment and explore the true work of the Product Manager. And that’s exactly what we did at a recent Product Talks Sydney Meetup. 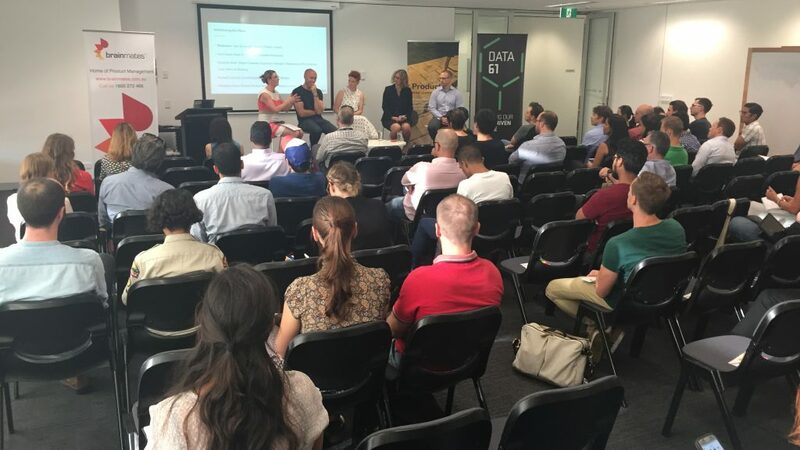 Thanks to our hosts, Jane Scowcroft and Data61, we held a debate to examine opinions as to whether Product Management is Art or Science. “To be a repeatable practise, we’ll be exploring the unknown over and over again, it has to be a scientific method,” said Nick Coster, Head of Training and Co-founder at Brainmates. “We talk about test and learn, test and learn, and that’s not really what you do in art. So, if you wanna test and learn, you have to have a methodology and an approach that will deliver better results over time, and to me, that’s a science,” he added. “Product management is the application of science to art,” according to Katherine Santer, Director of Product Management at domain.com.au. “Having been a scientist, and having left, maybe my opinion is already known,” started Liz Blink, Digital Customer Experience Manager at DELWP Victoria. 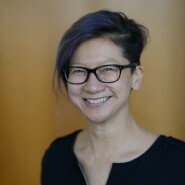 “But, I think for me, I think the scientific practise, and having a hypothesis and testing and learning, is fundamentally got to be a core part of product management,” Liz said. “I’m gonna say Art,” said Richard Linstead, Entrepreneur-in-Residence at Westpac Group. “I think everyone else was reasonably equivocal, and that’s because it is a trick question… of course, it’s both an art and a science… [But] you can’t be a great artist and come up with new and innovative ways if you haven’t also already learnt all the disciplines that went before it. So there’s an awful lot of discipline that goes to becoming a great artist,” he added. Things became really interesting when the debate was applied to the practice of prioritisation in Product Management. “A significant part of the product management role is prioritisation, and picking the right problems to solve. And I think that that ‘picking’ process… there’s an art to it, because there is a lot of unknown factors until you start an experiment,” said Katherine Santer. “To be honest, actually, I’m really promoting the scientific method as a way to prioritise. So, as much as possible, we want to get as much quantitative data to influence our prioritisation, but there is a limit to how much quant you can get for a particular problem, and so at that point, I think that’s where the art comes in to prioritising,” Katherine added. “I think in terms of prioritisation, you wanna have a set of consistent factors that you’re using to measure it. Sometimes they need to be some level of gut feel, because you can’t wait for perfect information all the time in a marketplace. But, at the same time, you want that to be as transparent to the rest of the business as possible, so that if you had to make the same decision a second time, it wouldn’t just be because of the opinions in the room that swayed it one way or the other,” said Richard Linstead. “The expression or application of human creative skill and imagination, typically in a visual form such as painting or sculpture, producing works to be appreciated primarily for their beauty or emotional power. And if you’d like to read more on this topic, check out Adrienne Tan’s take on the subject here.